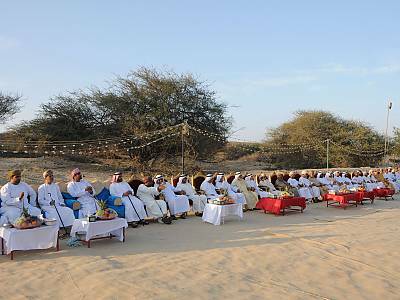 EN: Al Hadeera Majlis: Bedouins sitting in a circle in the open air. 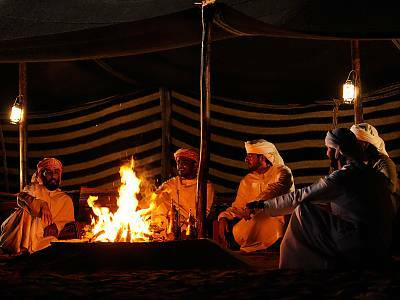 A fire is lit in the center of the Majlis for light, heat and preparing coffee. The fire is also used as a guide for travellers and those lost in the desert. 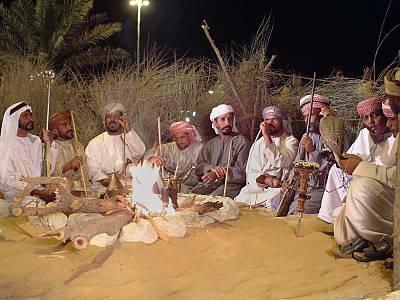 EN: A Qatari Bedouin Majlis: tribe men sitting around the fire making Arabic coffee. 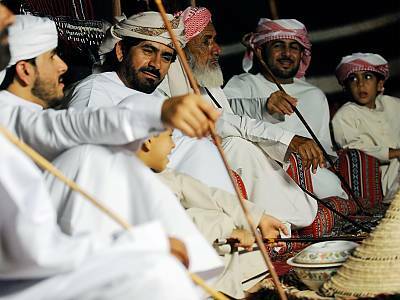 There are many types of majlis in the four States, one of them is the Bedouin tent. 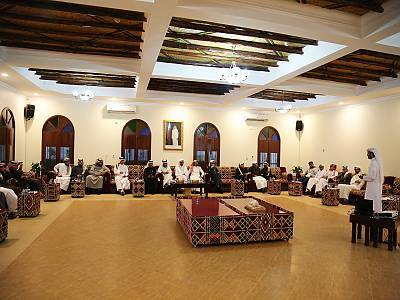 EN: Different age groups from a community in Oman meet together and get to know each other in the Majlis; they discuss the various affairs of the society. EN: Almost every Sheikh, Amir and Prince has his own Majlis in which he receives his followers. 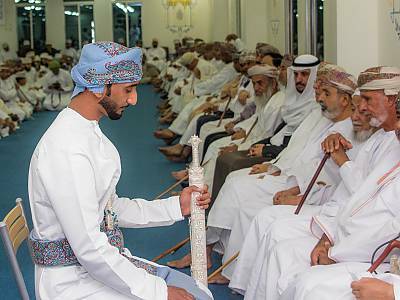 Large number of Omanis sitting in VIP majlis. 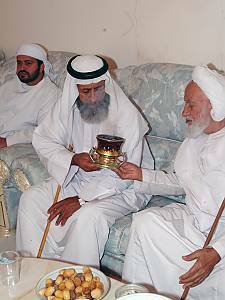 EN: Using incense (Dukhoon) in the Majlis: The incense is a distinctive tradition and heritage of the Gulf. It burns slowly without emanating much smoke, but fills the air with pleasant fragrance. EN: Teaching children the social etiquette and traditions of the Majlis, especially those related to visiting such places: wearing traditional costume, respecting the elderly and observing entrance and exit etiquette by a member of an NGO. 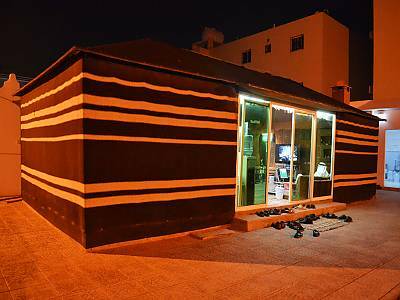 EN: A Saudi Majlis Currently, display screens, electronic games and computers entered to the Majalis, and much effort is made to decorate the Majlis and to make visitors feel more comfortable.